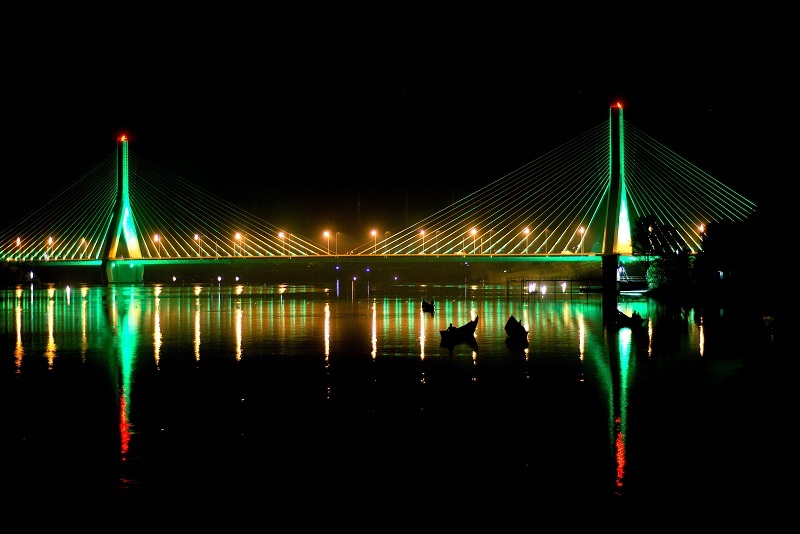 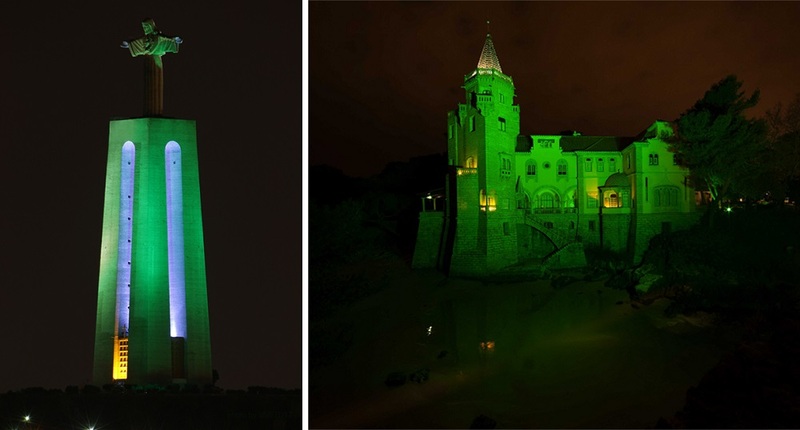 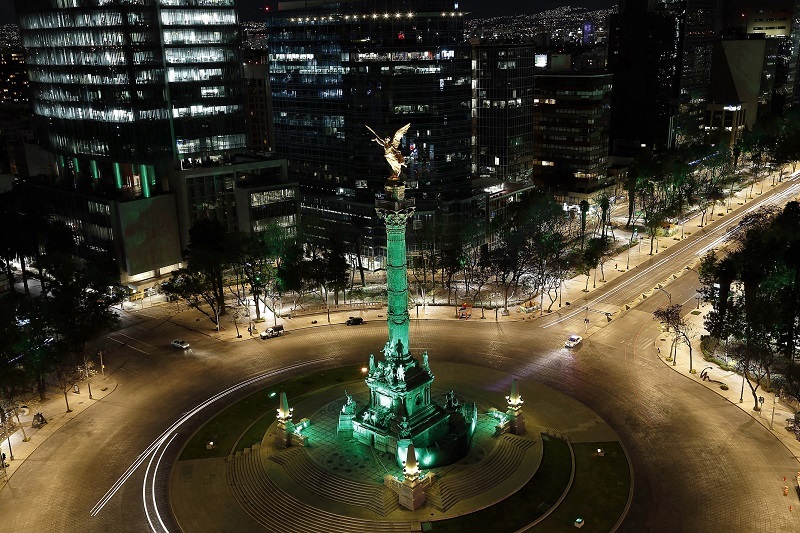 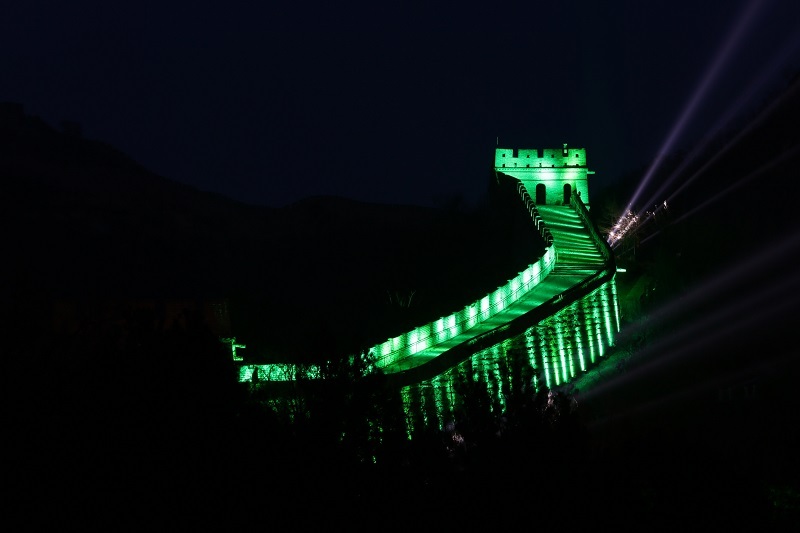 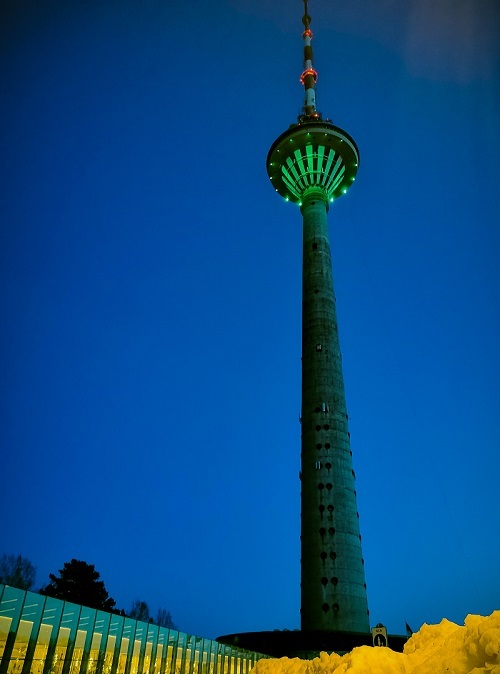 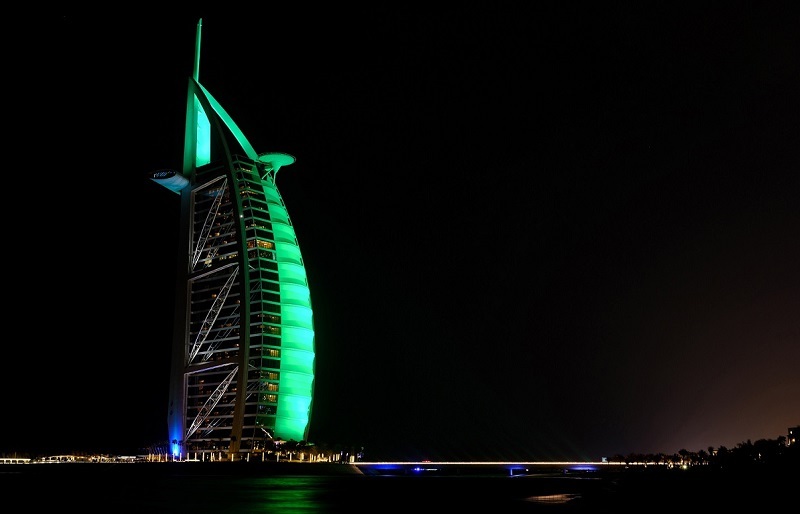 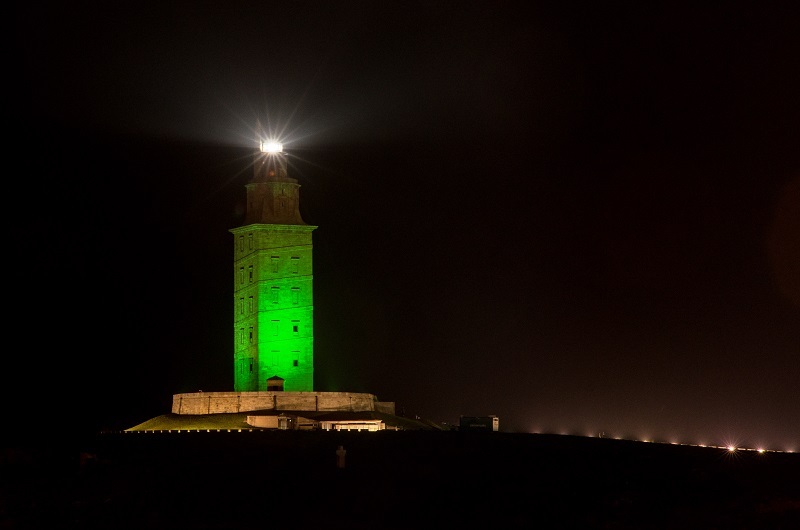 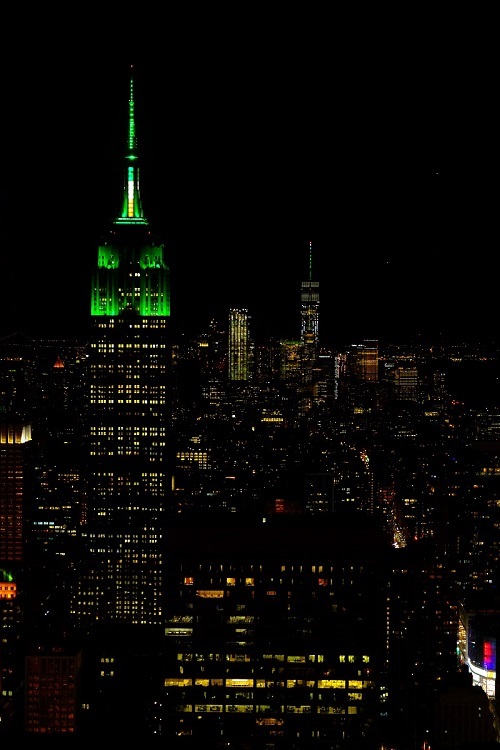 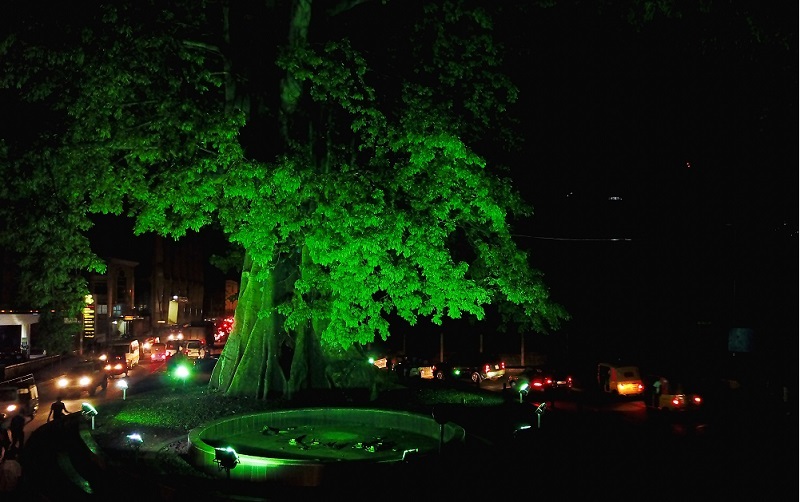 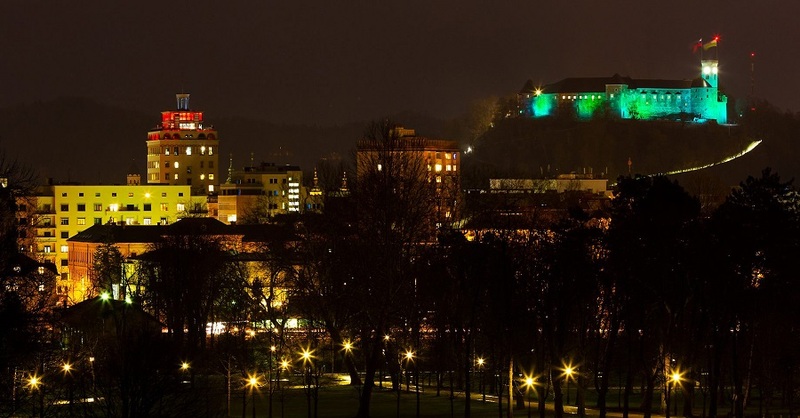 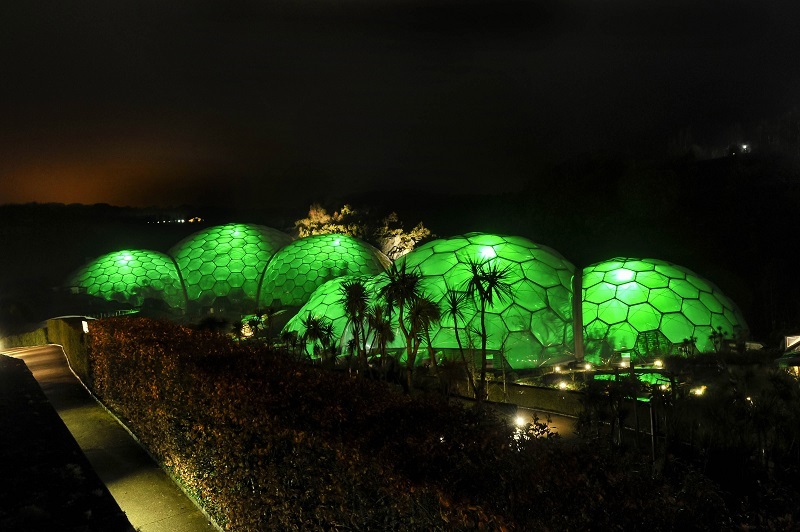 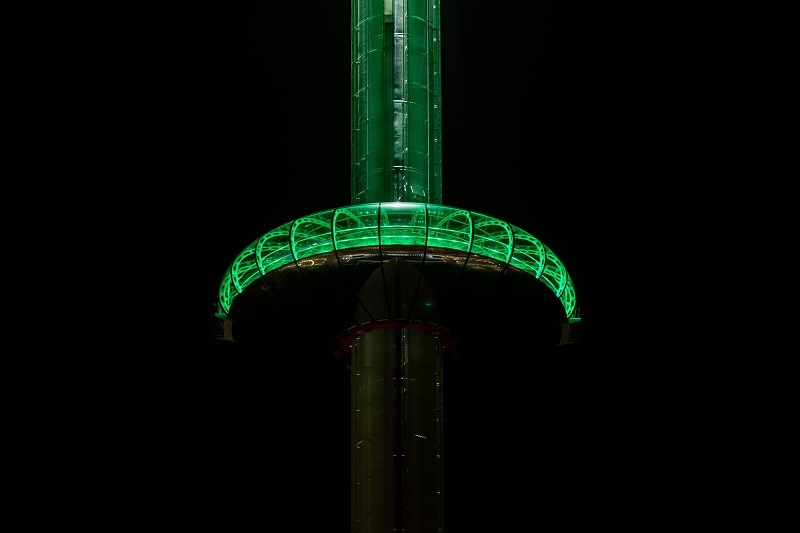 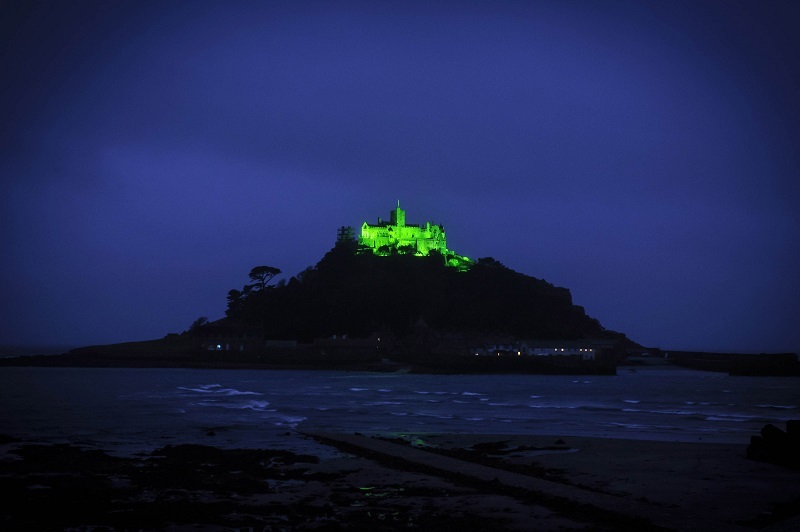 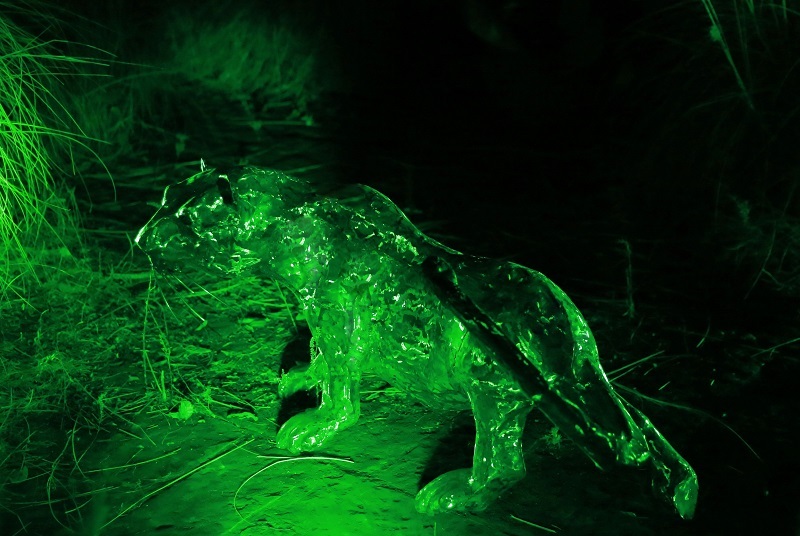 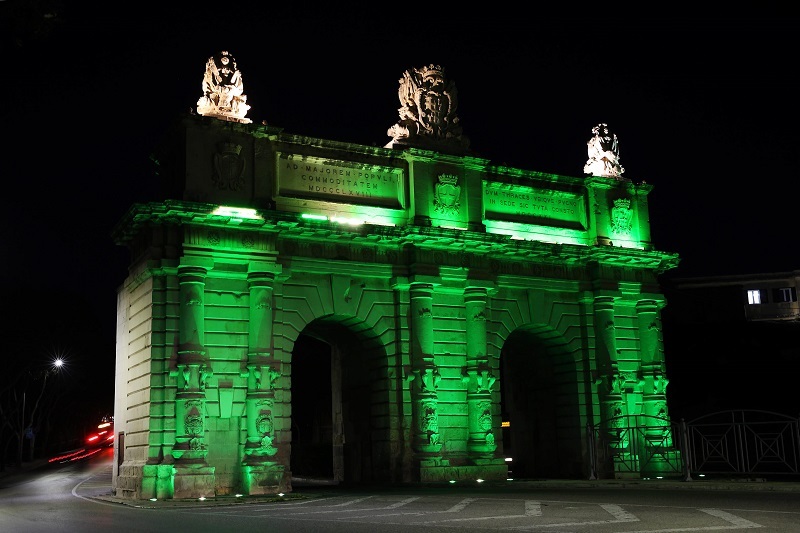 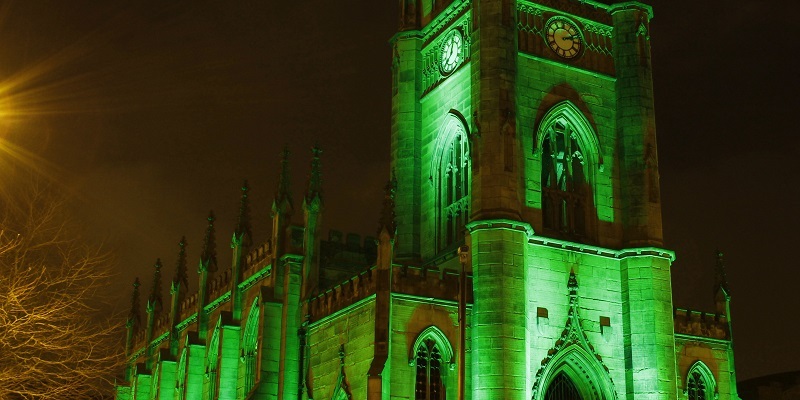 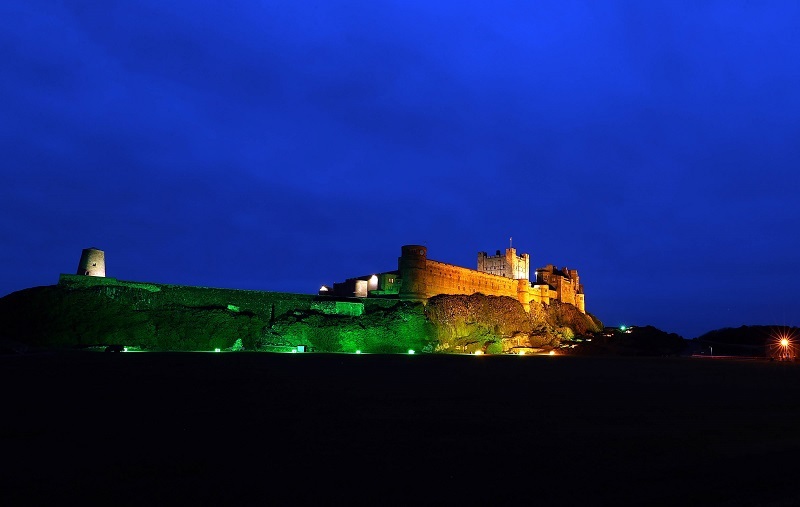 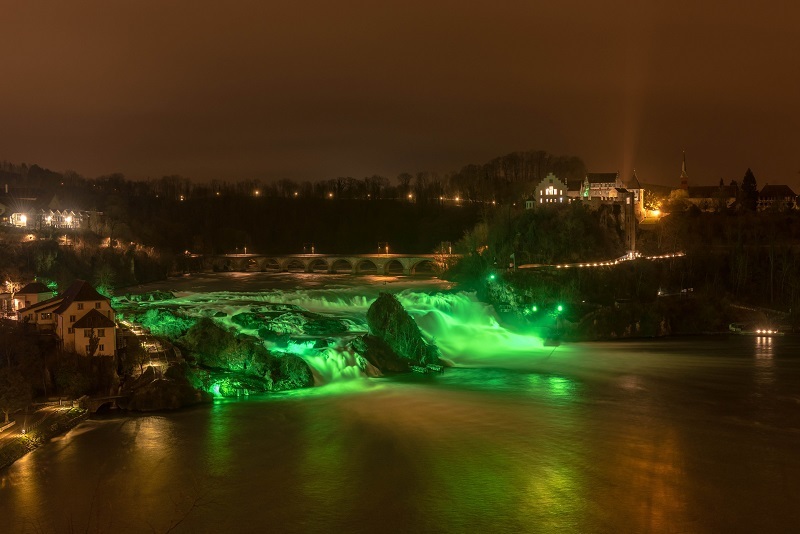 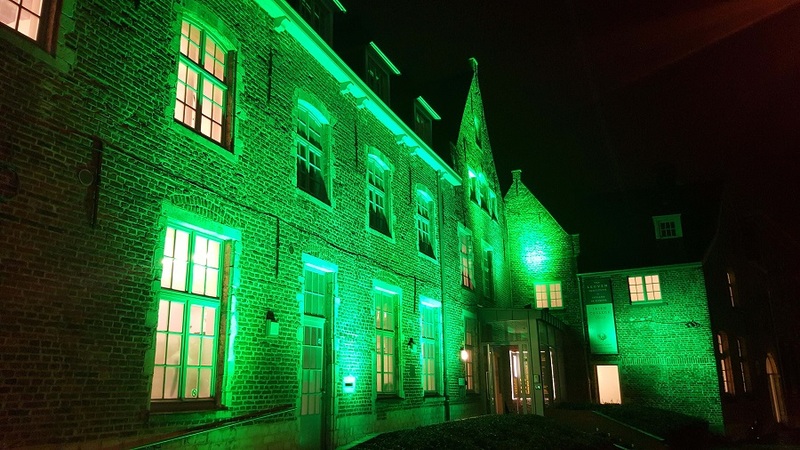 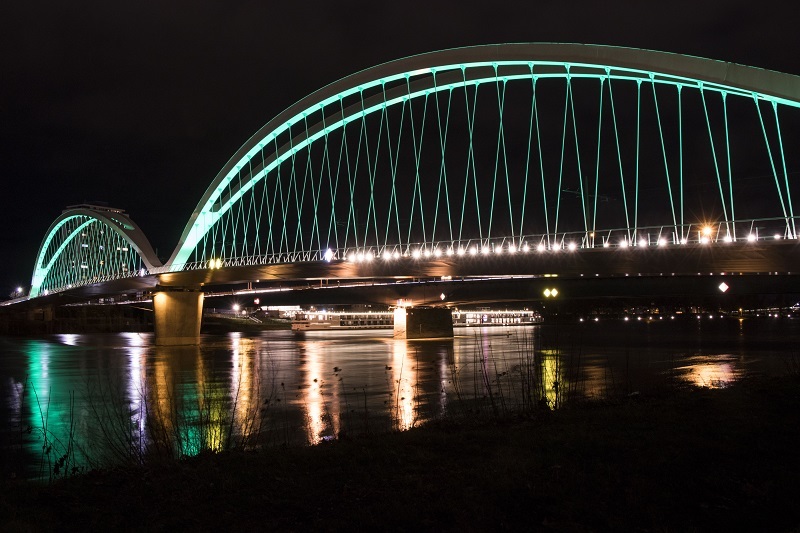 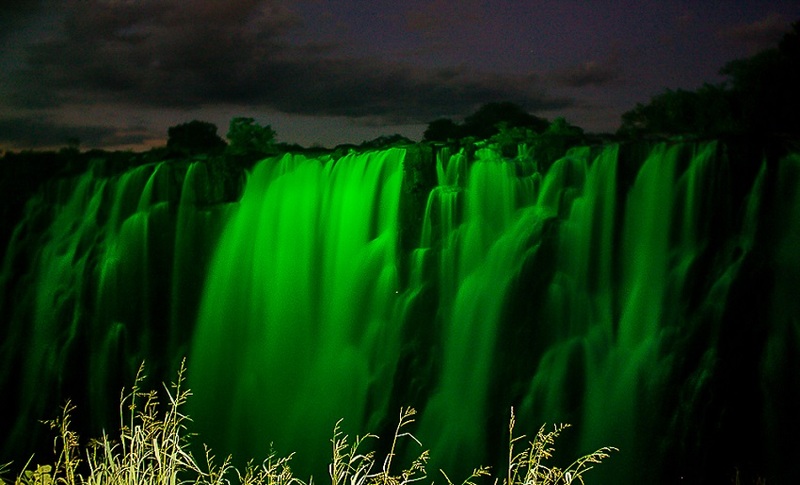 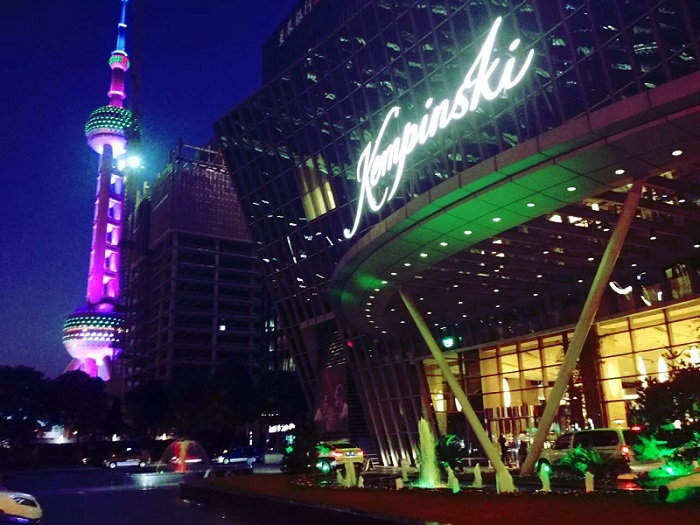 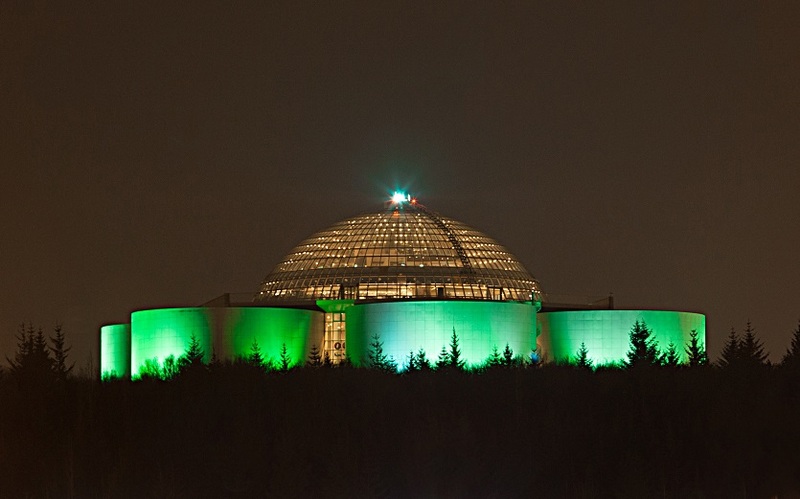 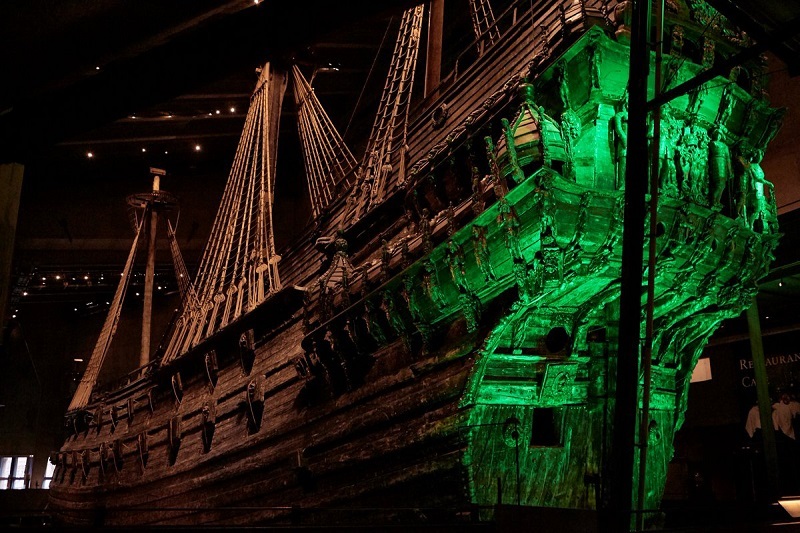 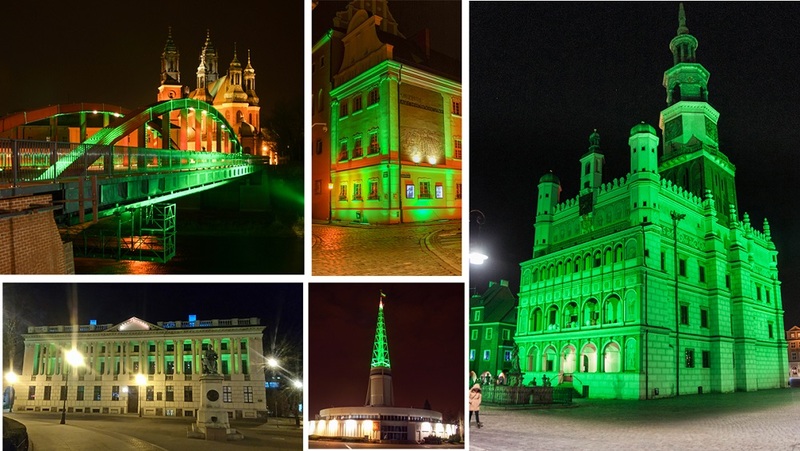 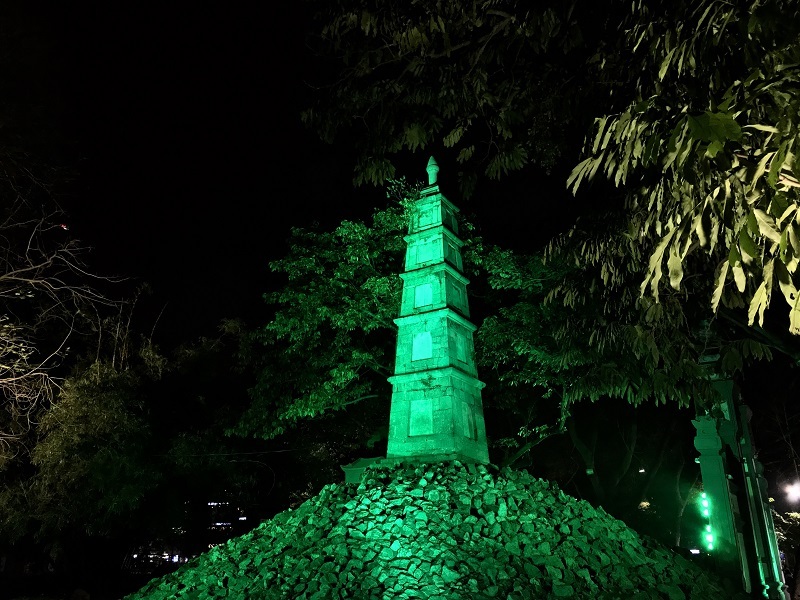 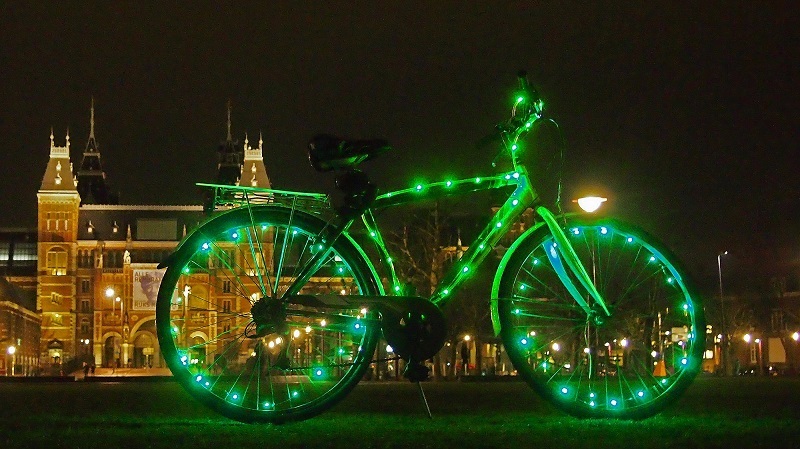 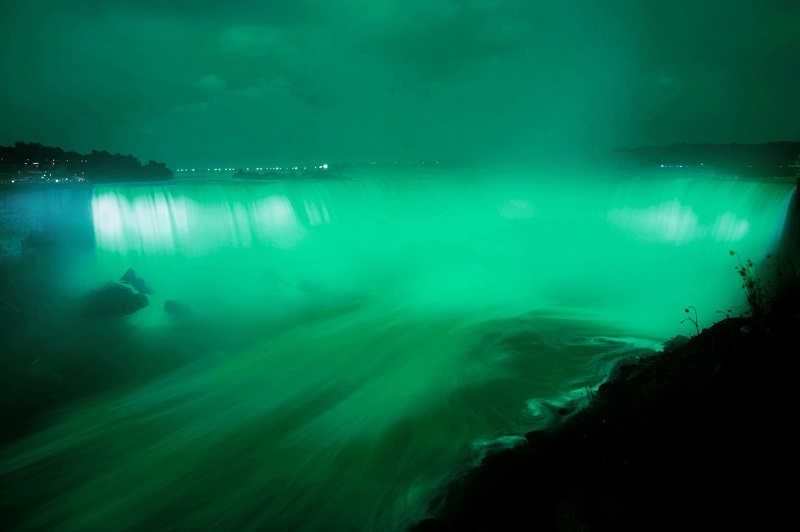 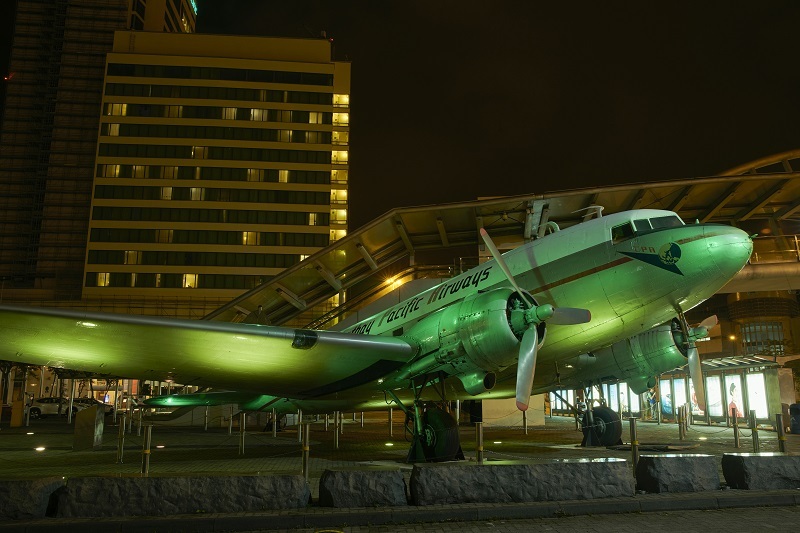 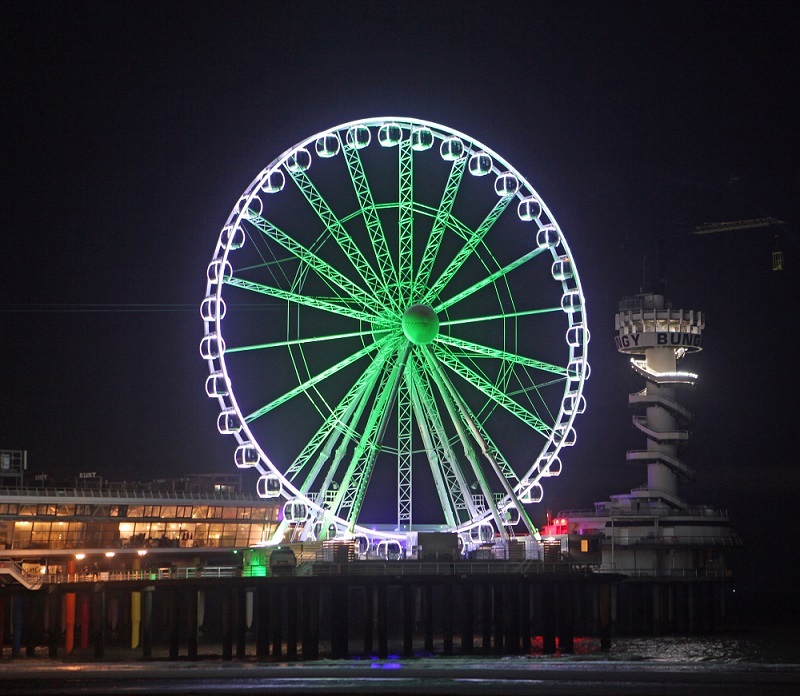 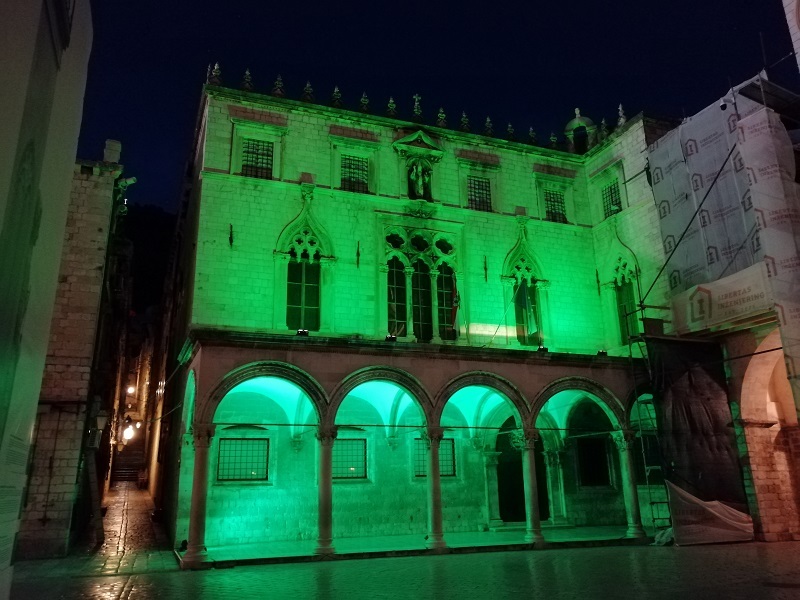 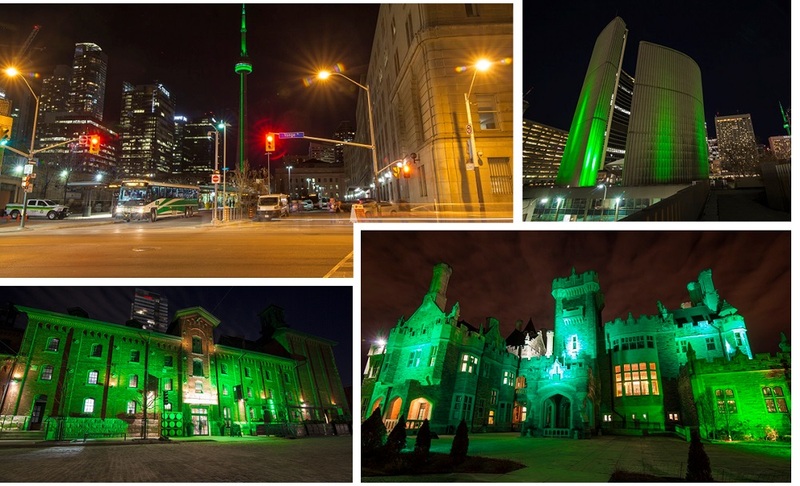 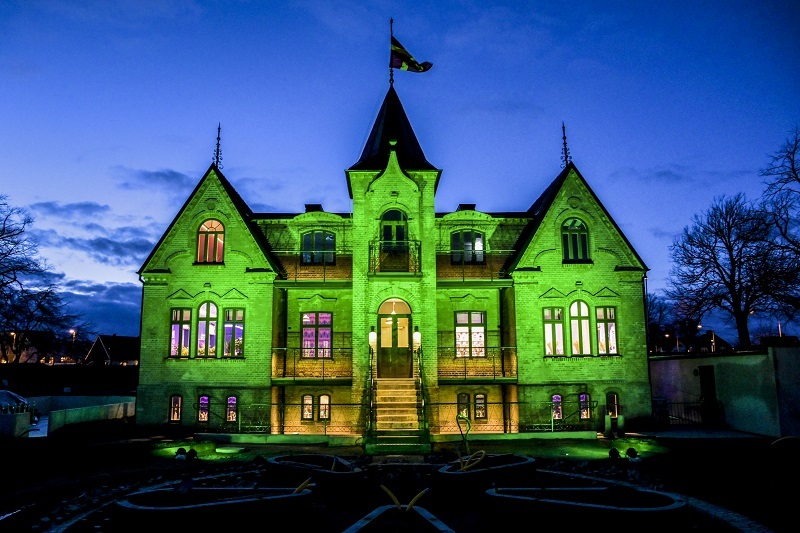 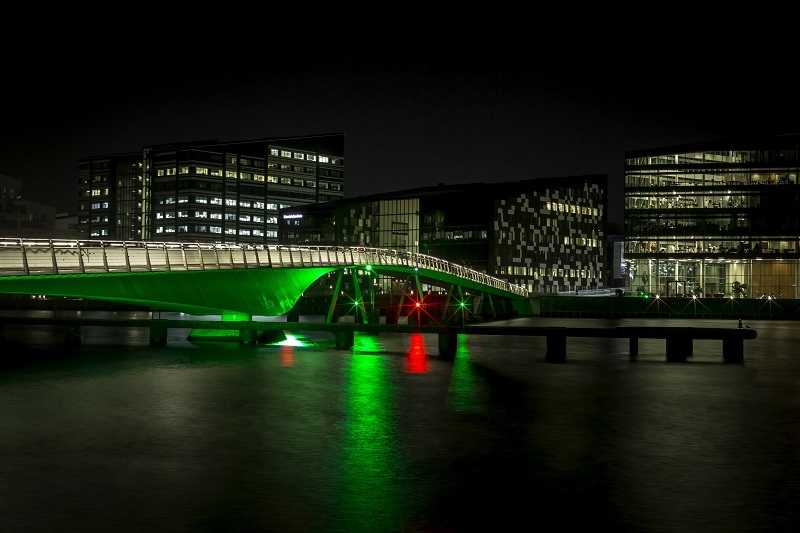 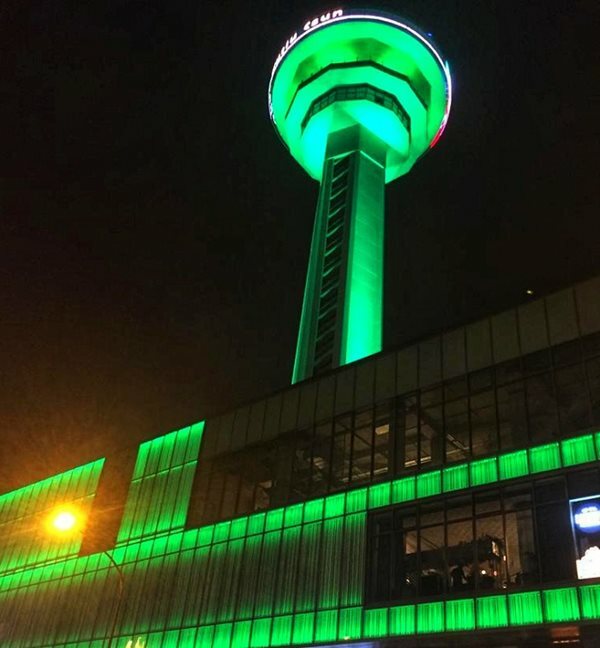 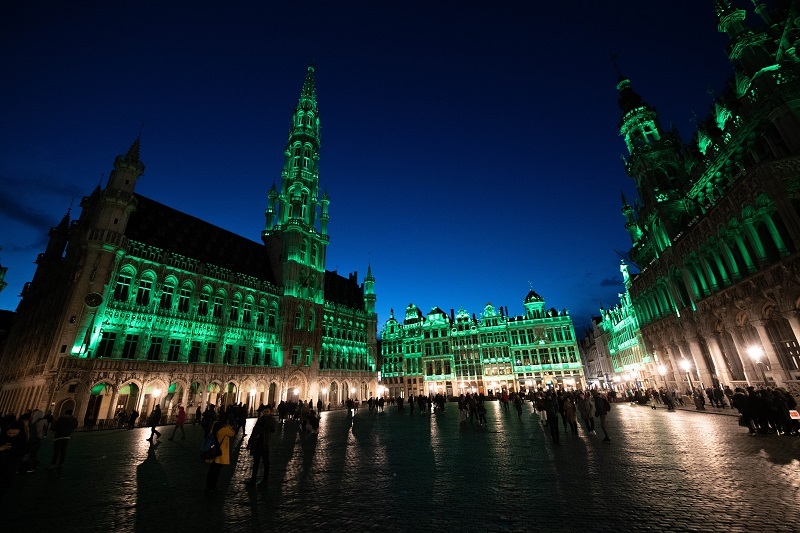 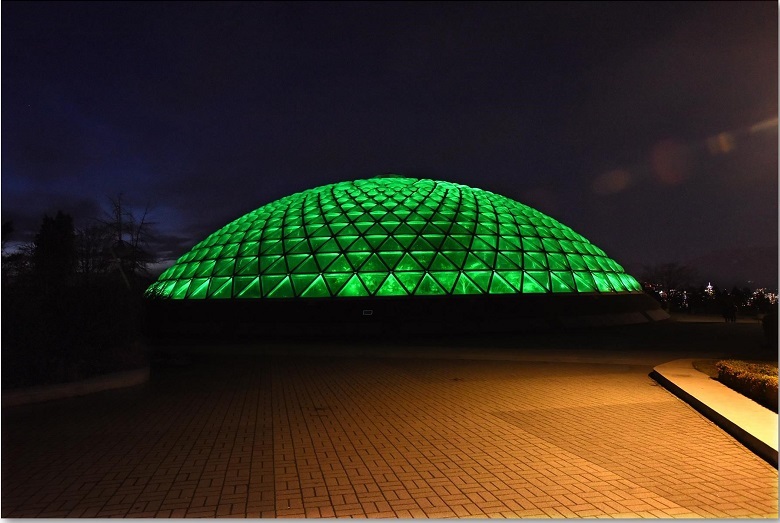 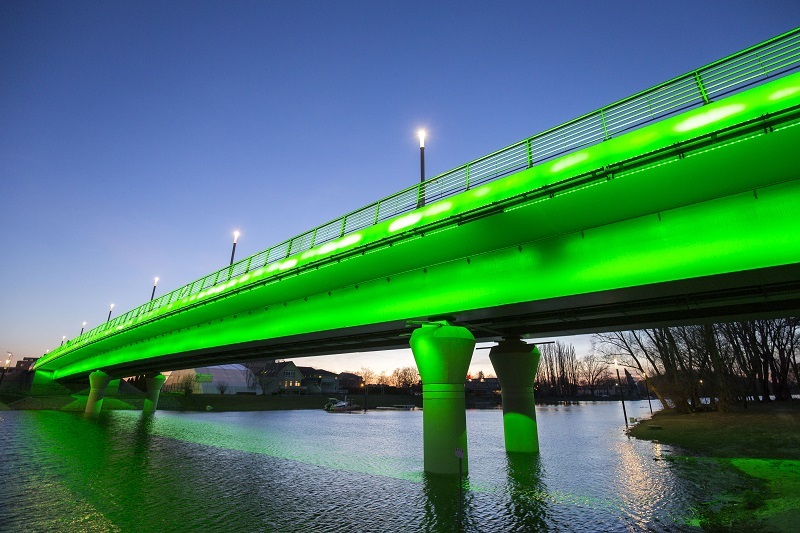 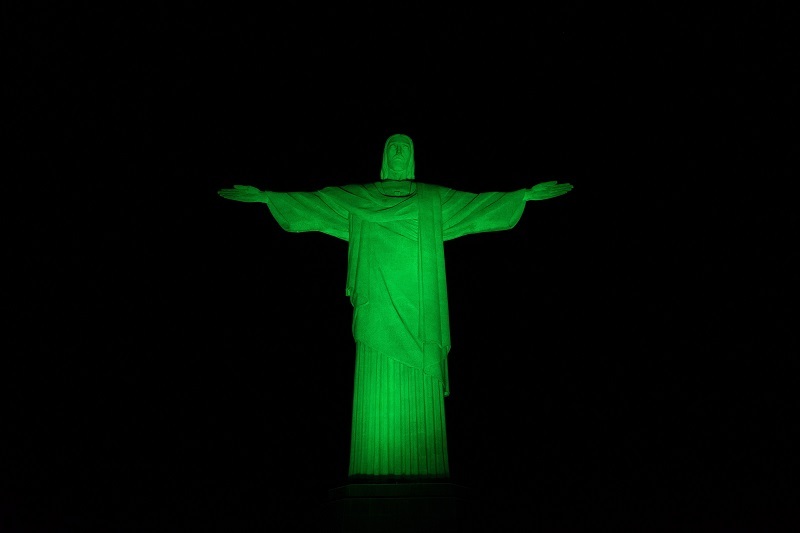 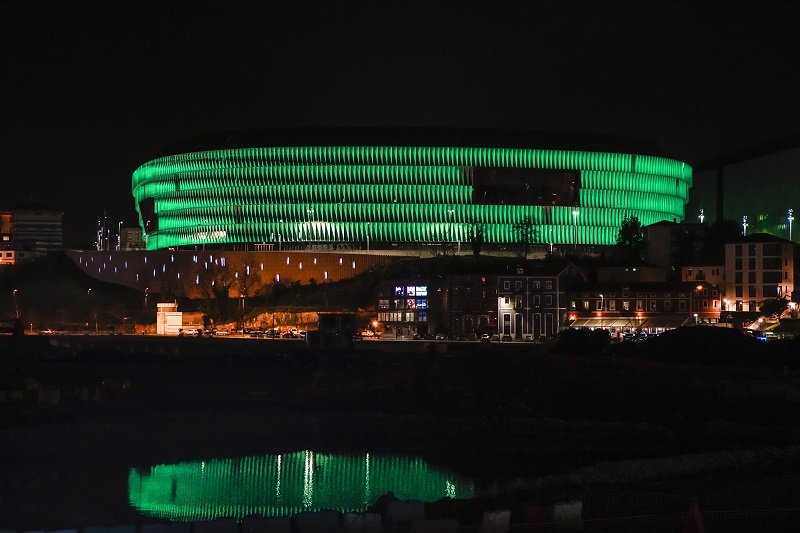 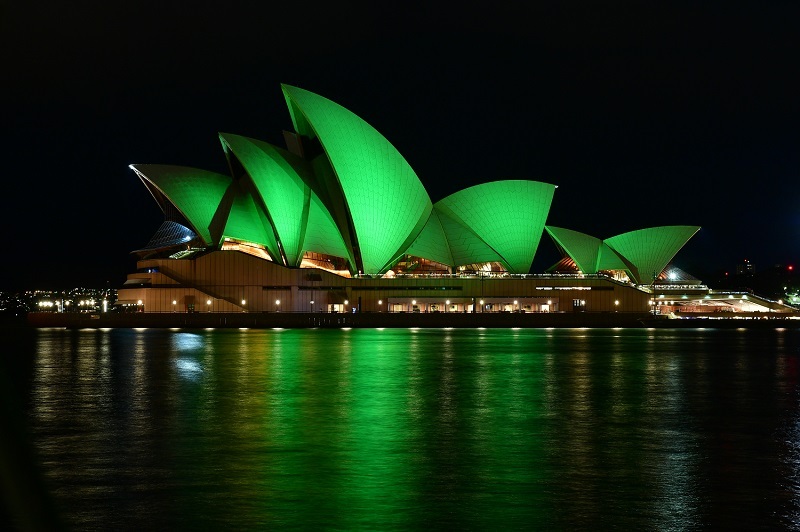 Around 470 iconic landmarks and sites in 55 different countries around the world were illuminated in green this year – as part of Tourism Ireland’s 2019 Global Greening initiative to celebrate the island of Ireland and St Patrick. 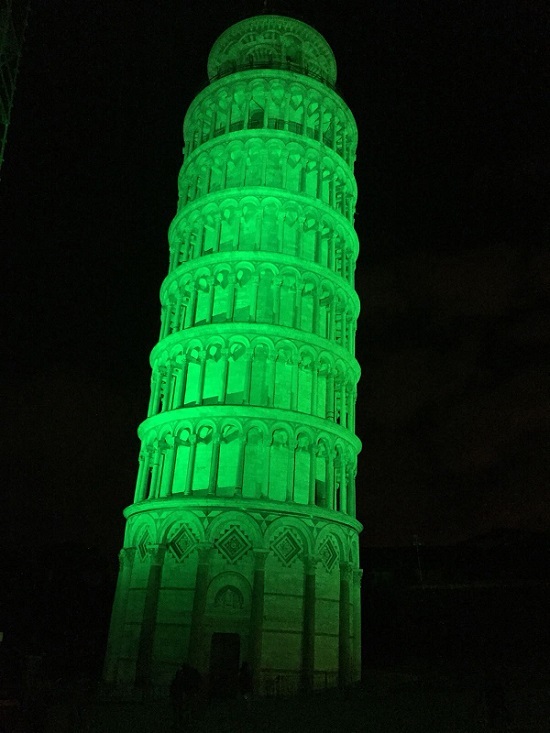 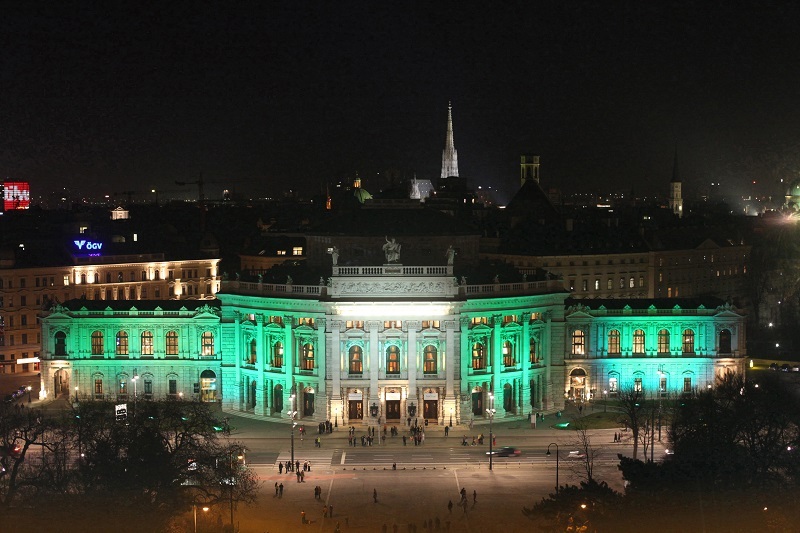 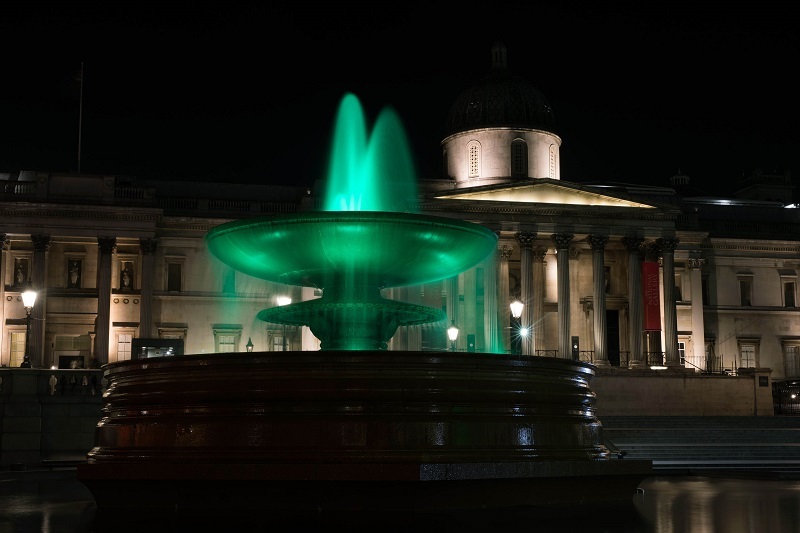 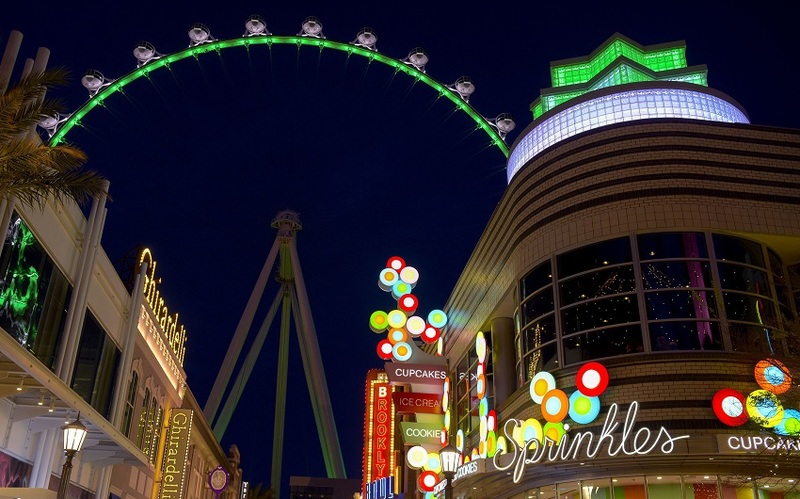 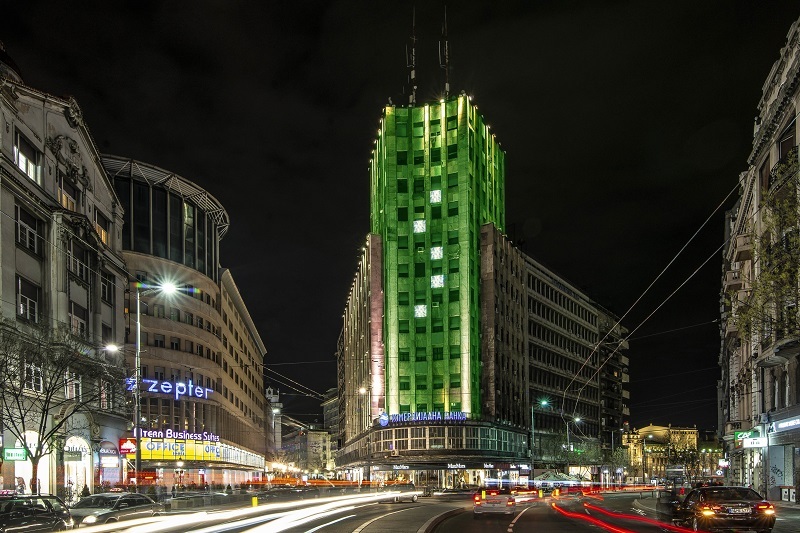 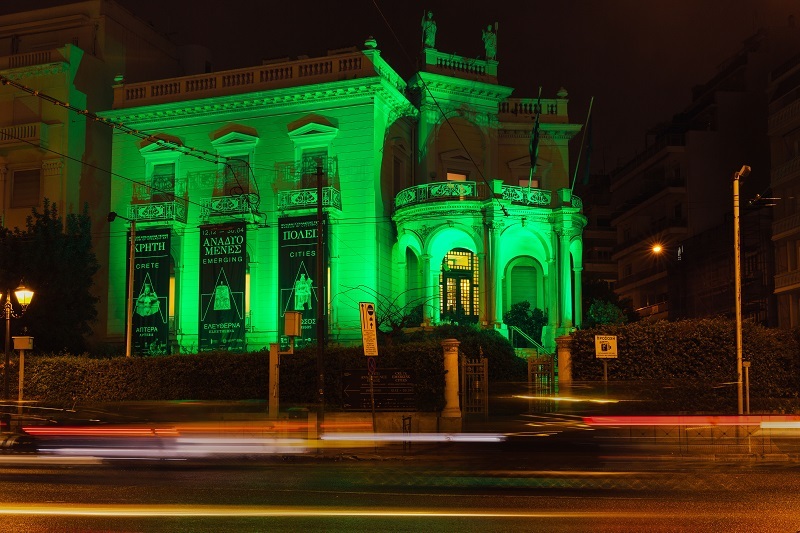 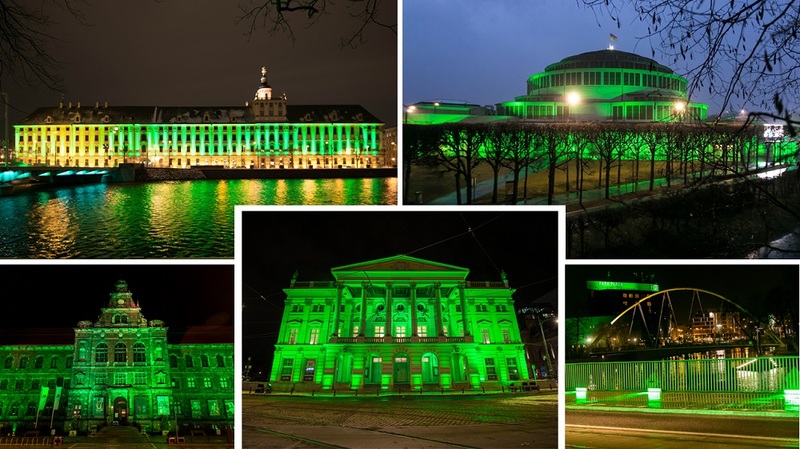 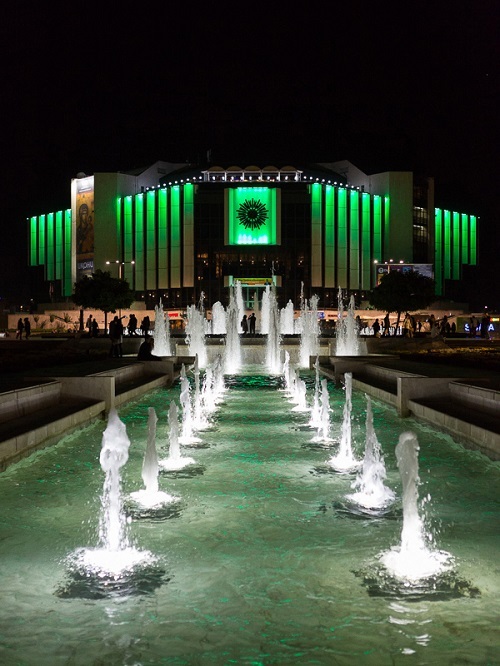 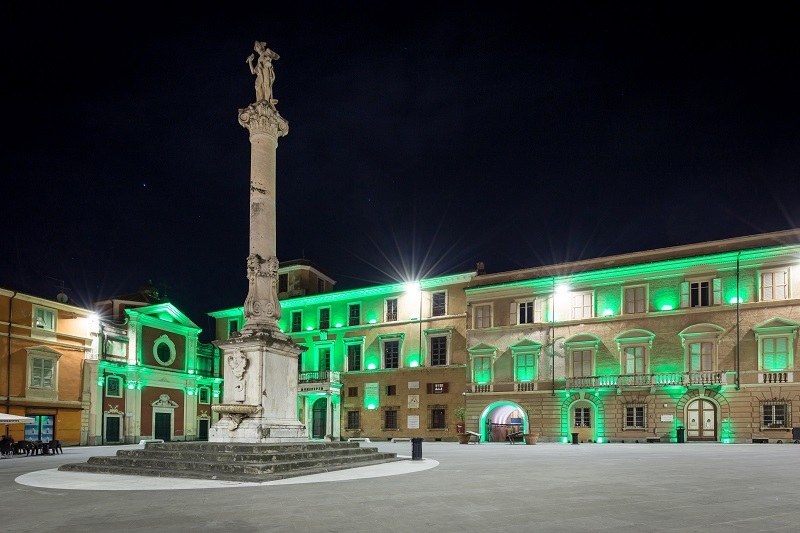 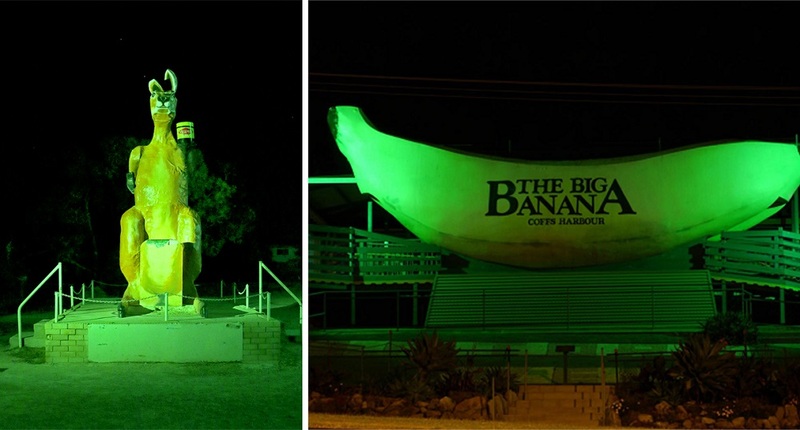 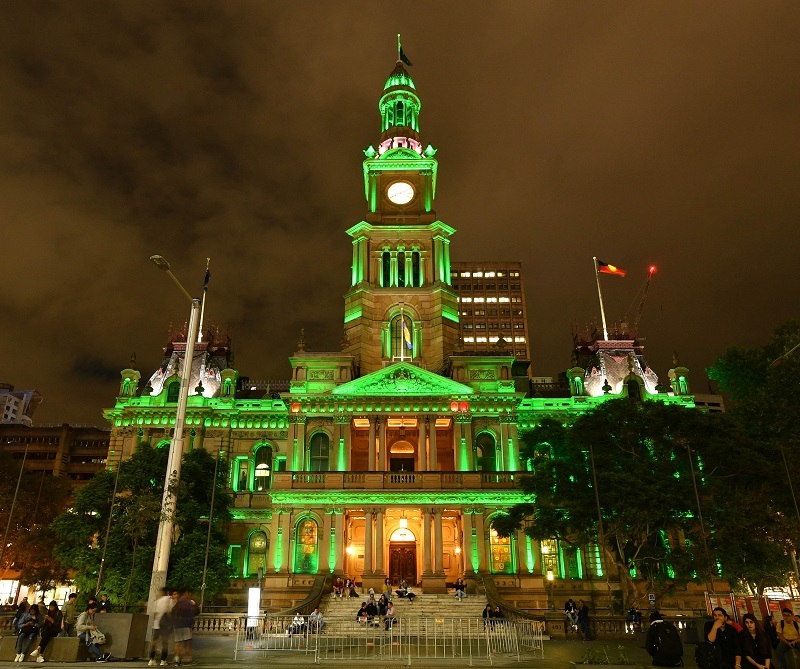 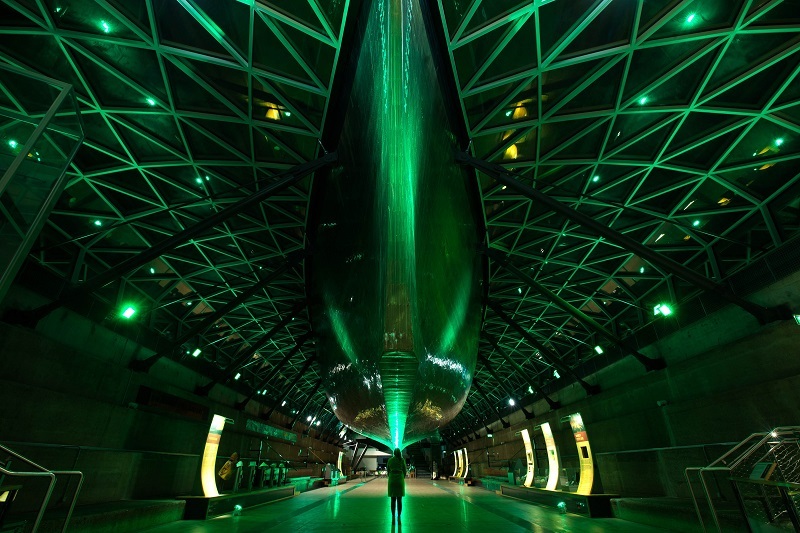 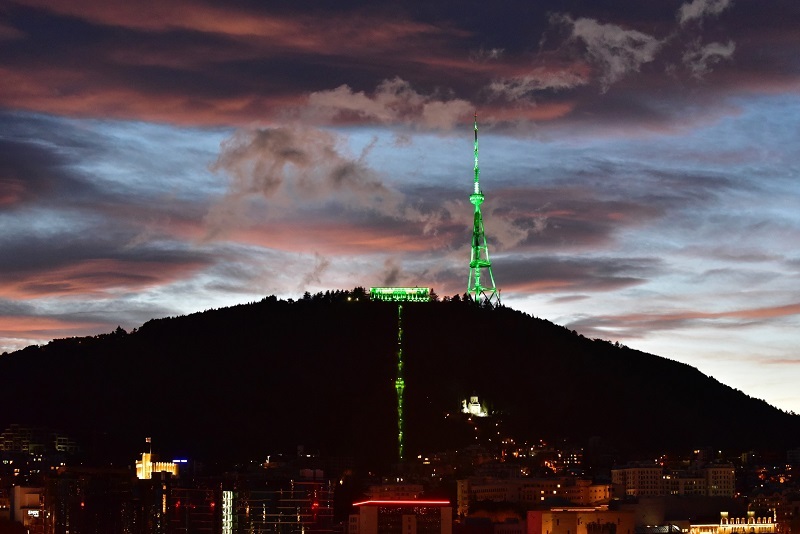 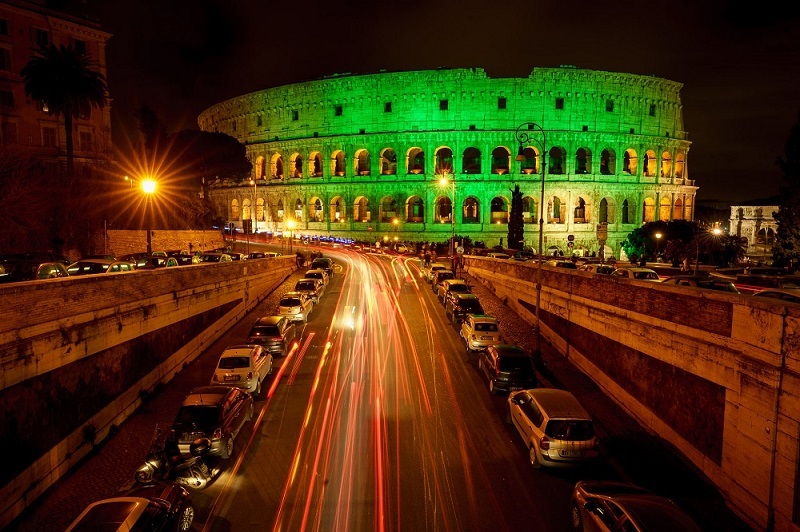 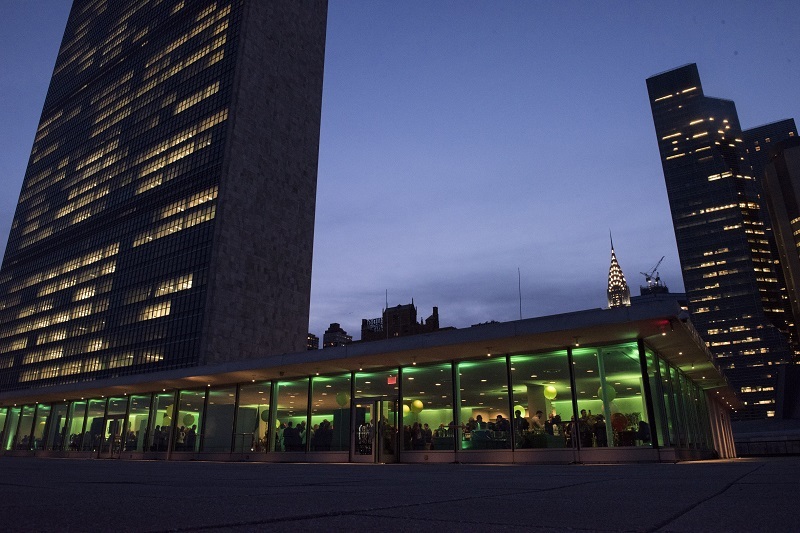 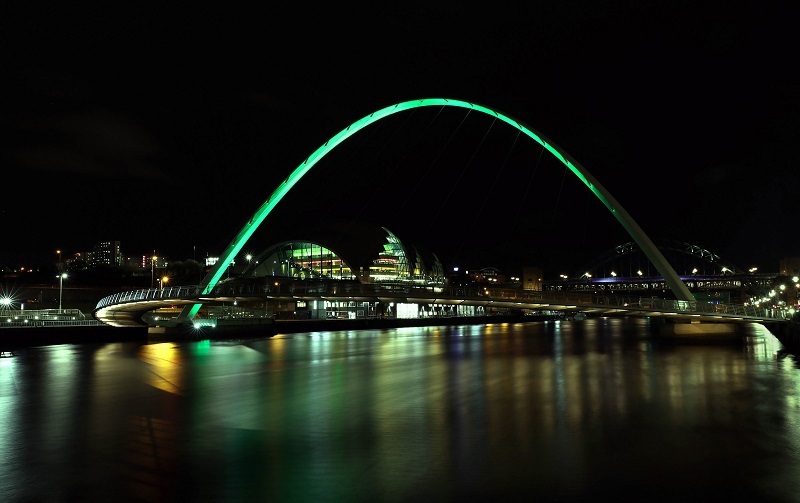 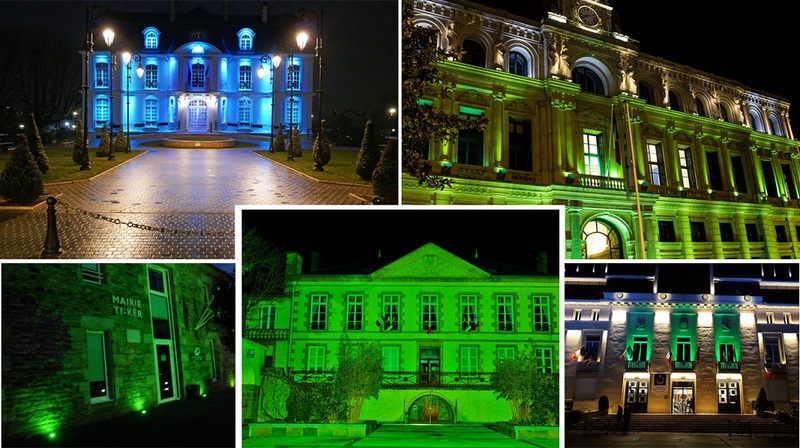 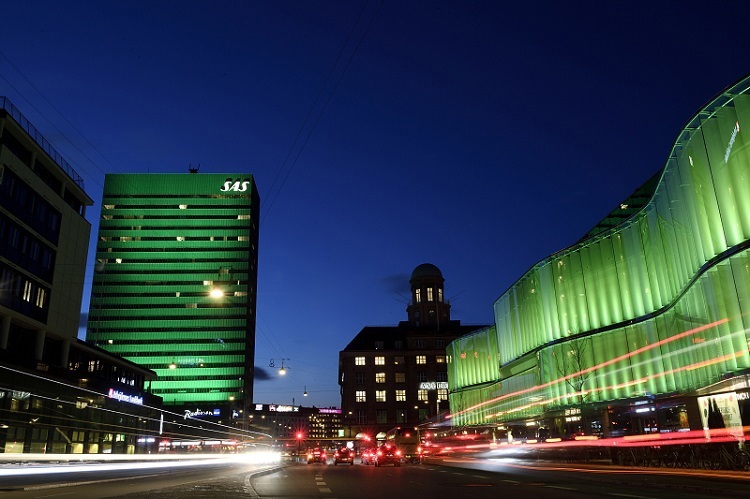 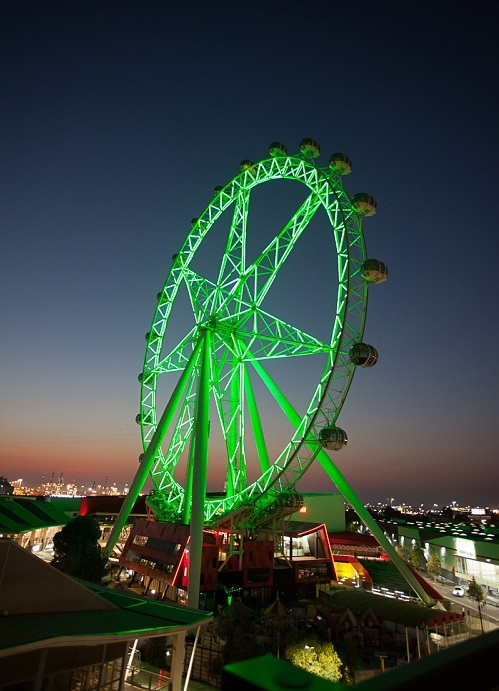 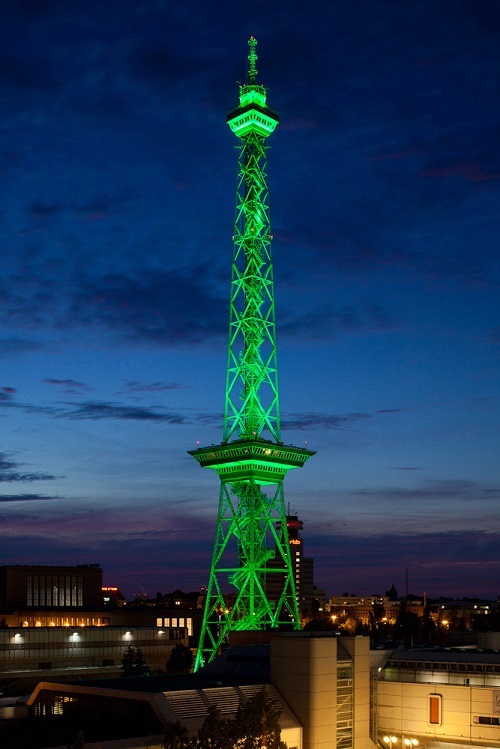 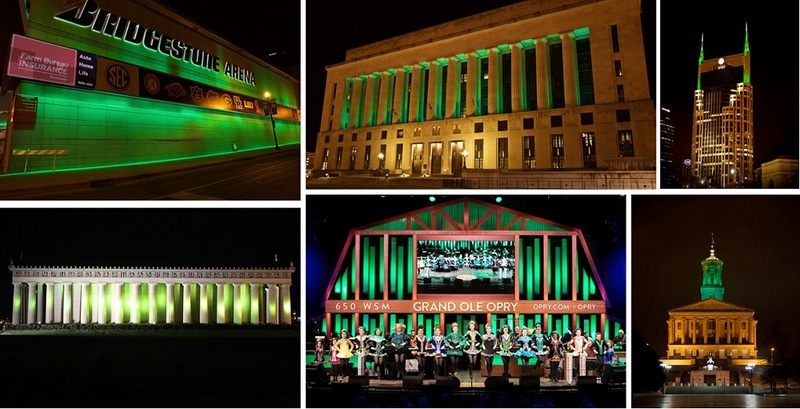 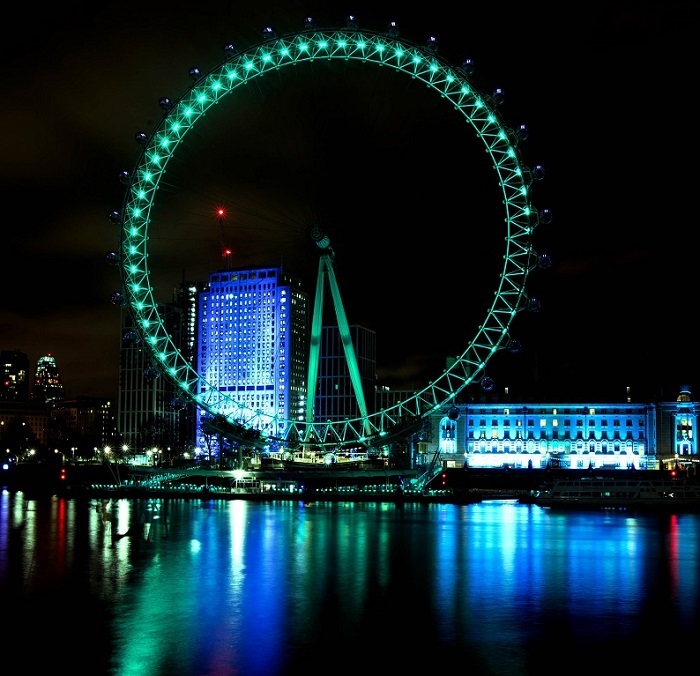 From Rome to Rio and from London to Las Vegas, a host of buildings and sites around the world turned a shade of green to celebrate our national day. 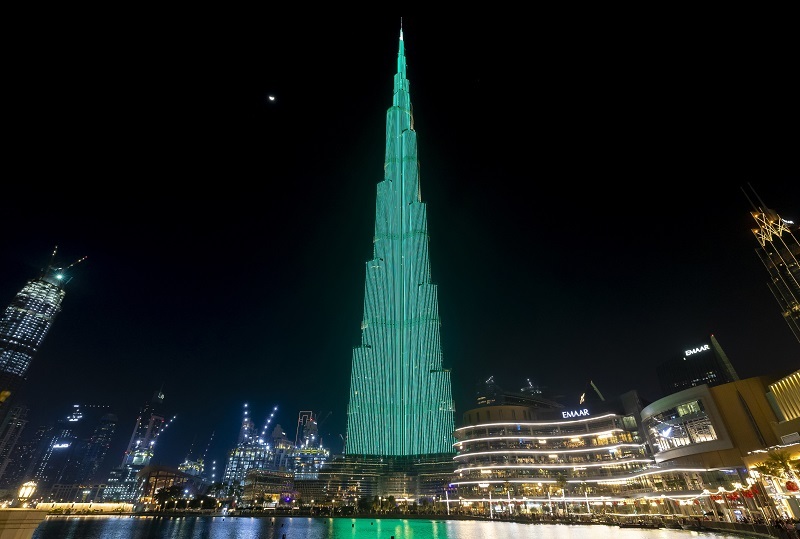 The Burj Khalifa – the tallest building in the world and probably the most iconic building in Dubai's impressive skyline – took part for the first time in 2019. 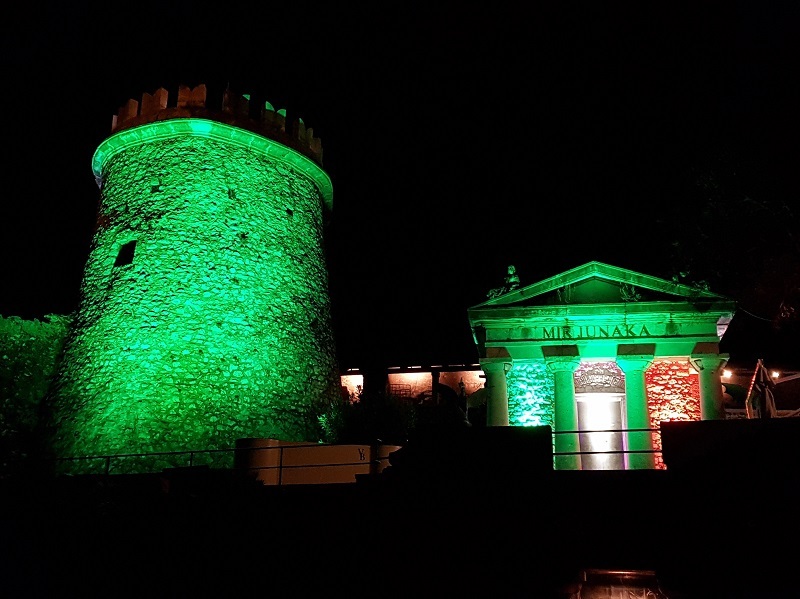 Other new sites included Victoria Falls, York’s medieval City Walls, Lord’s Cricket Pavilion in London, Nation Towers in Abu Dhabi, the Atakule Tower in Ankara and the Shizuoka Stadium ECOPA in Japan (where Ireland will play Japan in the Rugby World Cup in September). 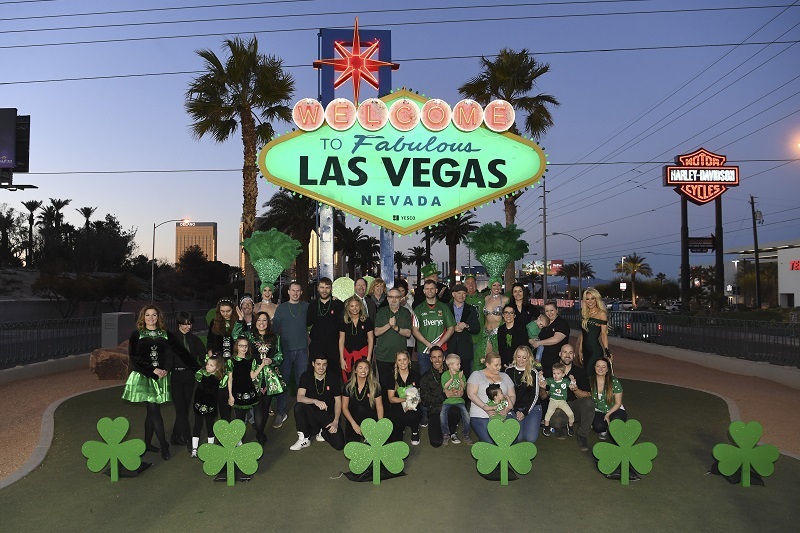 They were joined by some ‘old favourites’ which have gone green in previous years – including the Sydney Opera House, the London Eye, the Colosseum, Burj al Arab, the Leaning Tower of Pisa, Sleeping Beauty castle at Disneyland Paris, the Great Wall of China, Niagara Falls, the ‘Welcome’ sign in Las Vegas and the Christ the Redeemer statue in Rio de Janeiro.